and the country where it is sold . 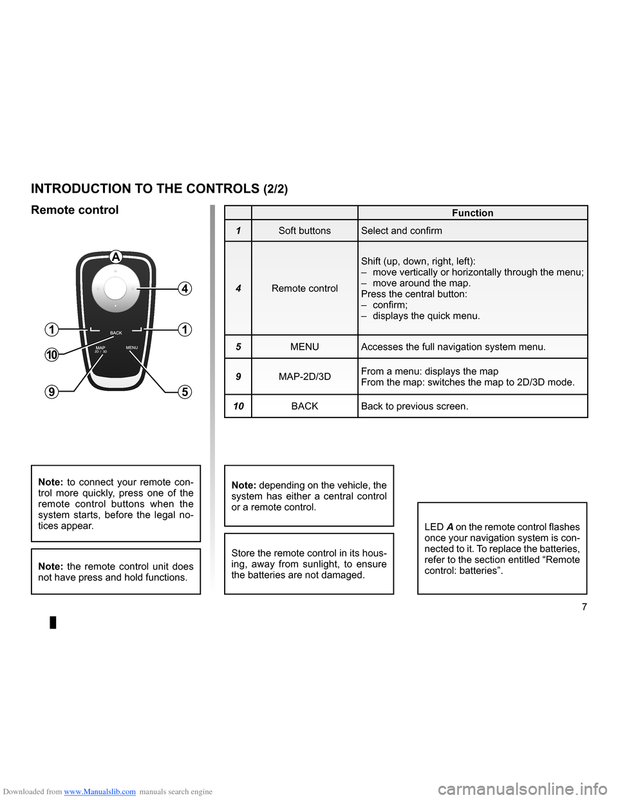 This manual may also contain information about functions to be introduced later in the year . 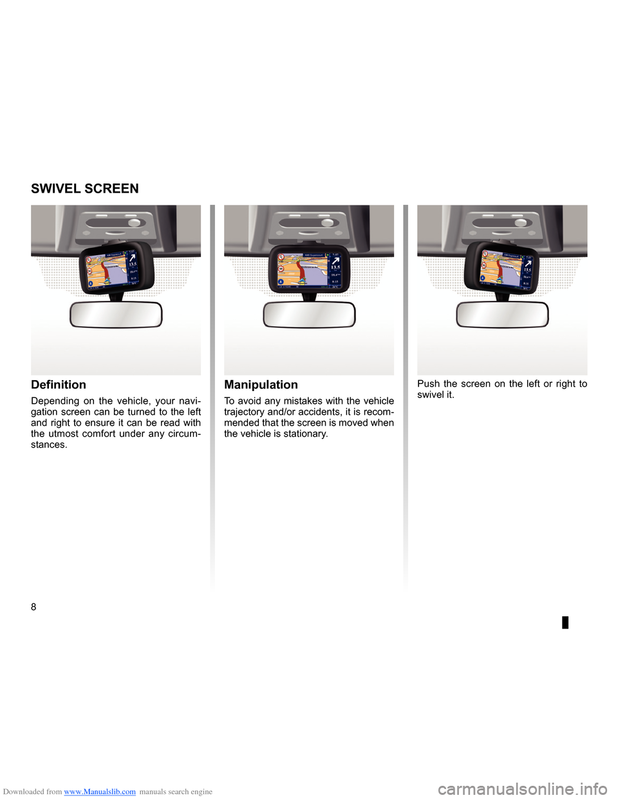 – Operate the controls and read the information on the screen only when road conditions allow . 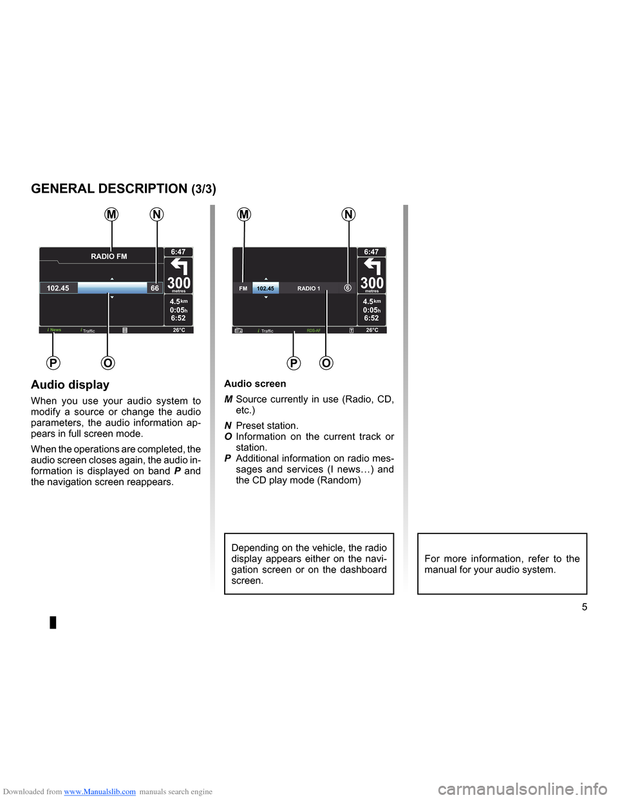 – Set the volume to a reasonable level so that outside noise can be heard . – Depending on the geographical area, the map on the SD card may not have the latest information on new roads . Be alert . 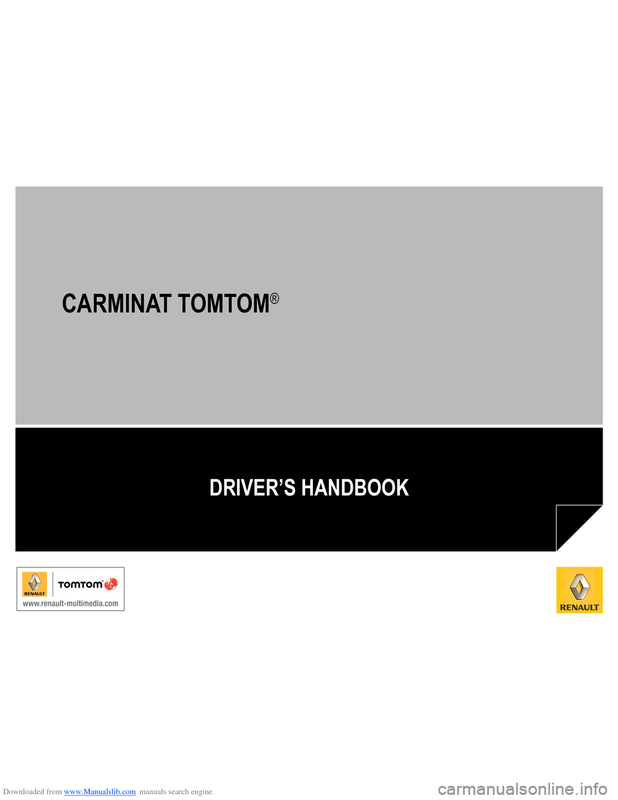 In all cases, Road Traffic Regulations and road signs always take precedence over the directions of the navigation system . 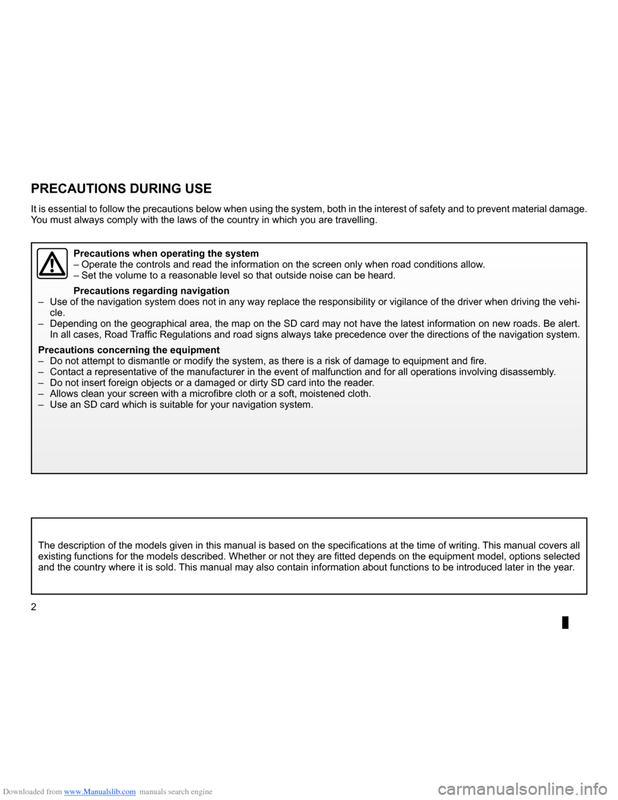 – Do not attempt to dismantle or modify the system, as there is a risk of damage to equipment and fire . – Contact a representative of the manufacturer in the event of malfunction and for all operations involving disassembly . – Do not insert foreign objects or a damaged or dirty SD card into the reader . – Allows clean your screen with a microfibre cloth or a soft, moistened cloth . 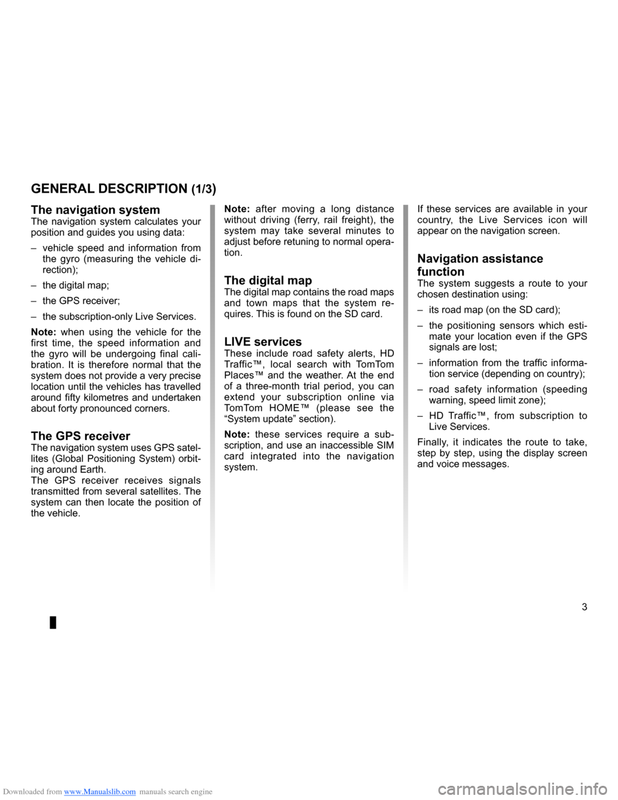 – Use an SD card which is suitable for your navigation system . It is essential to follow the precautions below when using the system, both in the interest of safety and to prevent material damage . You must always comply with the laws of the country in which you are travelling . quires . This is found on the SD card . – the subscription-only Live Services . about forty pronounced corners . appear on the navigation screen . pears in full screen mode . 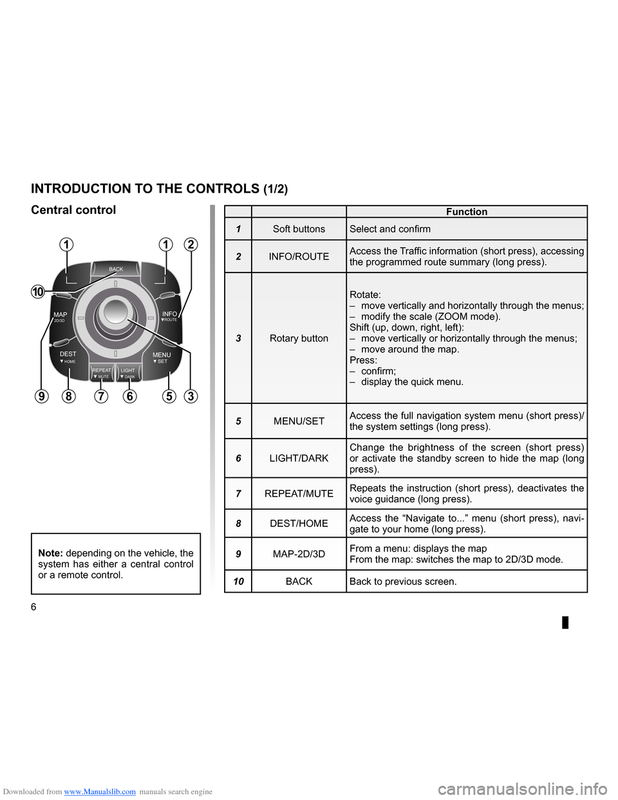 manual for your audio system . 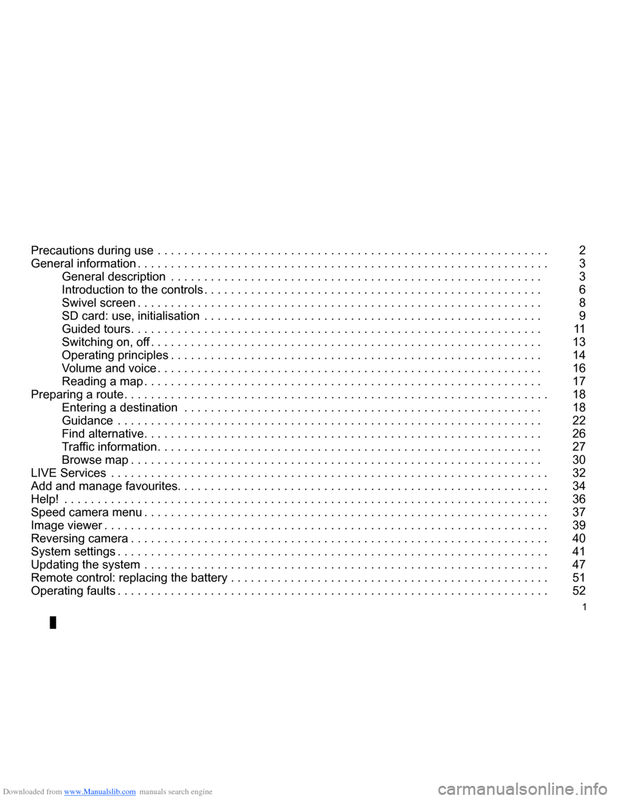 the programmed route summary (long press) . – modify the scale (ZOOM mode) . – move around the map . – display the quick menu . the system settings (long press) . voice guidance (long press) . gate to your home (long press) . From the map: switches the map to 2D/3D mode . 10 BACK Back to previous screen . or a remote control . – displays the quick menu . 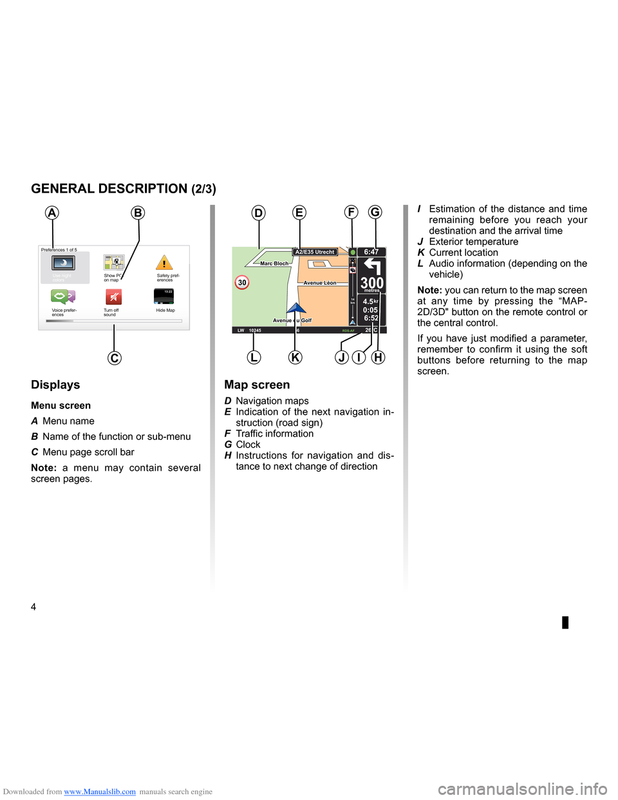 5 MENU Accesses the full navigation system menu . not have press and hold functions . the batteries are not damaged .